A leading member of the U.S. Marines has warned that the eruption of a war is likely imminent. Gen. Robert Neller, the commandant of the Marine Corps, made the comments during a visit to a contingent of 300 U.S. Marines deployed in Norway, according to Military.com. The Marines were deployed to Norway to improve their experience in cold weather operations. Norway has a 120-mile border with Russia, which is seen as a U.S. rival. Sgt. Major Ronald Green of the Marine Corps backed up Neller’s remarks and stressed that the U.S. could take rapid action. Military.com reported in May that soldiers had been instructed not to refer to Russia by name in interviews with the media so as to avoid raising tensions. The comments followed the release Dec. 18 of the Trump administration’s National Security Strategy. The document identified Russia as posing a threat to the United States. “With its invasions of Georgia and Ukraine, Russia demonstrates its willingness to violate the sovereignty of states in the region,” it was stated in the document. The strategy pointed to Russia and China as countries which “challenge American power, influence and interests, attempting to erode American security and prosperity,” according to USA Today. Russian President Vladimir Putin responded to the strategy by accusing the United States of aggression. 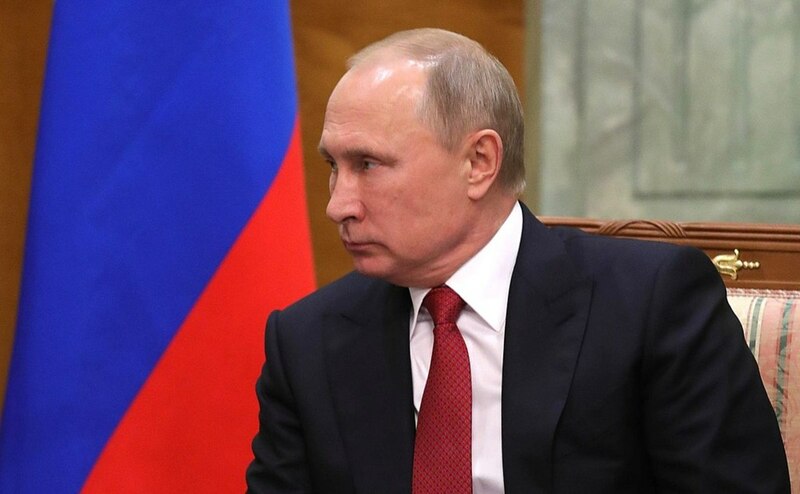 Putin took issue with the creation of “offensive infrastructures” in Europe, and argued that the U.S. has violated the 1987 Intermediate-Range Nuclear Forces Treaty. Specifically, Putin noted an American missile base in Romania which he alleged was capable of housing ground-to-ground mid-range cruise missiles. “Russia has a sovereign right and all possibilities to adequately and in due time react to such potential threats,” added Putin. The Russian president then suggested it would be necessary for Russia to further develop its nuclear forces. He noted that Moscow’s current nuclear arsenal offers reliable strategic deterrence. A Boy Walked By A Lake And Saw Something Weird. Nobody Saw This Coming. WOW.